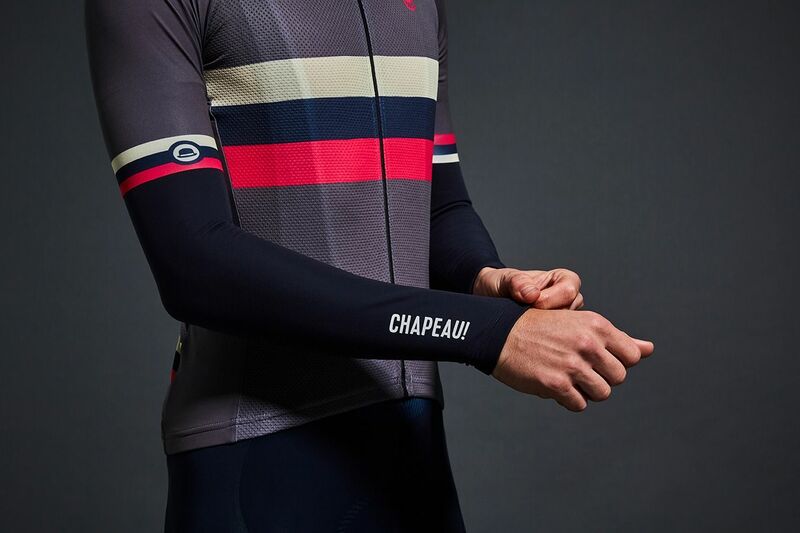 Chapeau!’s Arm Warmers are for when the wind picks up and your ride turns chilly. They’ll stow out-of-site in your back pocket and can be deployed at a moment’s notice to keep you out riding in your favourite summer jersey for longer. They’re a must-have for the windy winch back to the car, for the coffee stop or those quick photo-opportunities on the hill tops. They’re made with soft on the skin thermal Italian Carvico Artica fabric and are adorned with subtle, reflective details to help keep you safe at night. All of our new warmers are build with double-sided silicon grippers to hold them in place. 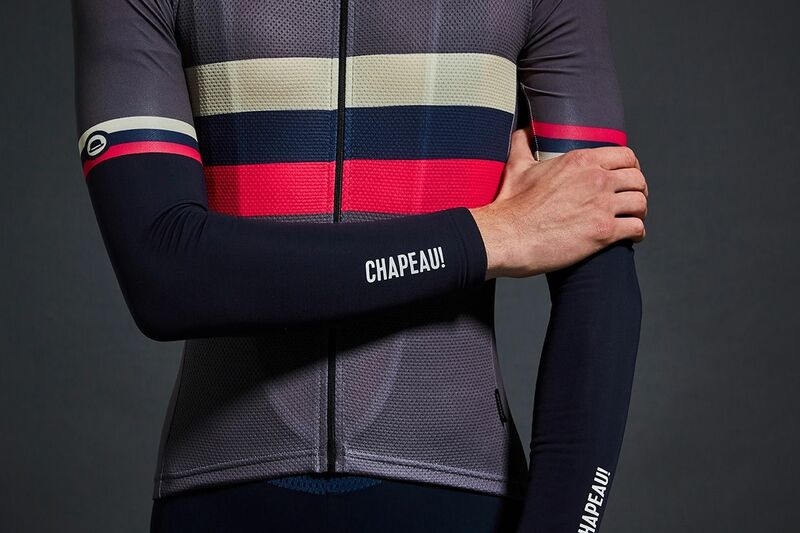 One side grips to your skin and the other to your base layer sleeve, guaranteeing yhey won’t mess you around. 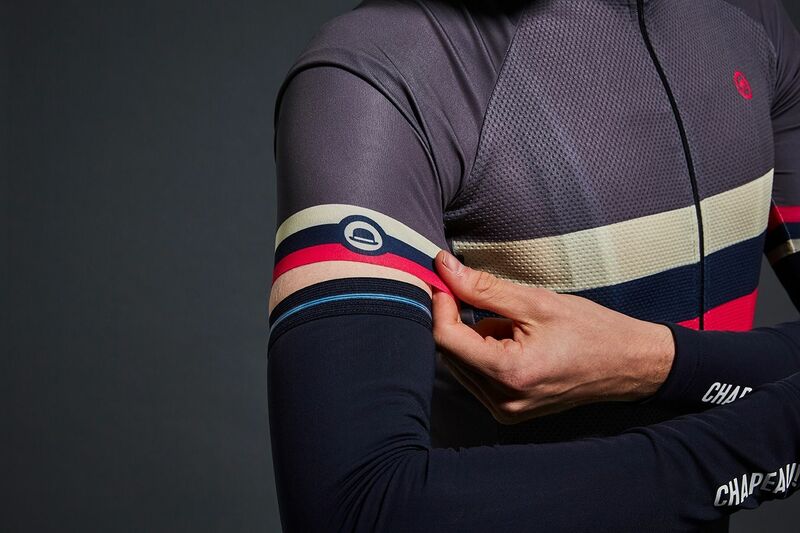 And don’t forget, warmers under jersey for added style points!